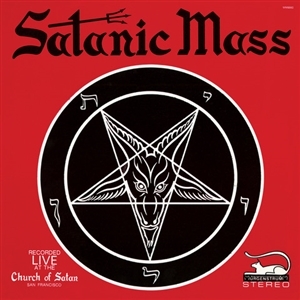 A historic recording from 1968 - the first ever authentic audio documentation of a satanic ceremony, conducted by High Priest and Church Of Satan founder Anton LaVey!This reissue faithfully replicates the original vinyl release which has been out of print since it's original pressing in 1968 and has become a much sought after collector's piece! A historic recording from 1968 - the first ever authentic audio documentation of a satanic ceremony, conducted by High Priest and Church Of Satan founder Anton LaVey! This reissue faithfully replicates the original vinyl release which has been out of print since it's original pressing in 1968 and has become a much sought after collector's piece!